"Congress fears defeat in these elections. BJP will form the government with absolute majority in the state. After facing defeats in every election, now the Congress party is busy criticising the EVMs and the Election Commission ", said PM Modi. 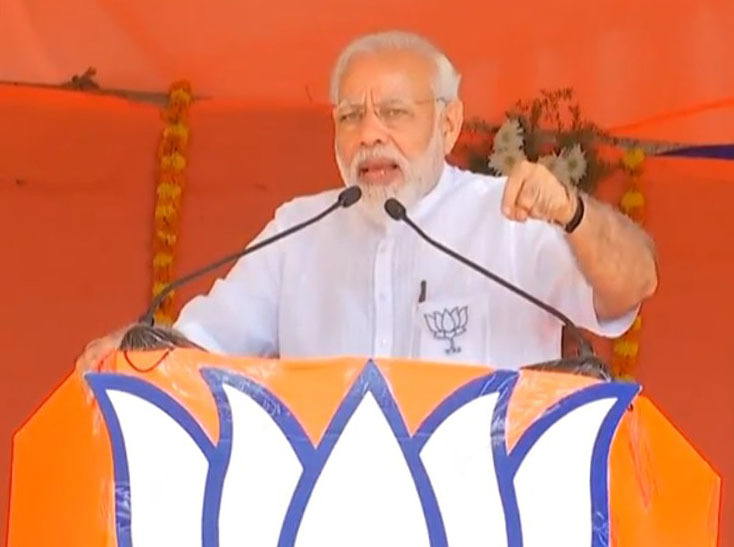 Chikmagalur: Prime Minister Narendra Modi on Wednesday launched an attack against the Congress party, saying that they keep blaming the Electronic Voting Machines (EVMs) and the poll panel as they are unable to accept the defeat. However, Prime Minister Modi exuded confidence over the Karnataka Assembly elections and said that the Bharatiya Janata Party (BJP) would form the government with absolute majority. "Congress fears defeat in these elections. BJP will form the government with absolute majority in the state. After facing defeats in every election, now the Congress party is busy criticising the EVMs and the Election Commission (EC). For them, EVM and EC are wrong and only Congress is right," Prime Minister Modi said while addressing a rally in Karnataka's Chikmagalur town. "Congress has absolutely no respect for many of our prominent institutions. Be it EC, Central Bureau of Investigation (CBI), Army, Enforcement Directorate (ED) or Vice Presidents' office, Congress has been on a spree to disrespect and belittle these great institutions," Prime Minister Modi. Further, without naming Congress President Rahul Gandhi, Prime Minister Modi said that the leader was only eyeing the Prime Minister chair. "There is a leader in Congress party who thinks only about one thing throughout the day - how to be the Prime Minister? Such is the arrogance of the 'Naamdaars'," Prime Minister Modi noted. "Congress only wants to remain in power. In 1978, Indira ji came here, took your votes but never cared for people of this region. Congress never thought about the welfare of people of Chikmagalur. Sonia ji too contested from Bellari, but what happened to promises made in Bellari," Prime Minister Modi added. As the assembly elections inches nearer, Karnataka has turned into a battlefield with both the BJP and the Congress indulging in aggressive campaigns.